The UK has lots of great white water rafting, Scotland’s Highland Perthshire area, Mountains of Wales and the Peak District of England. However, as we don’t have the sheer size of the landmass of continents like Africa and America we do not generate spectacular rivers like the River Nile or the Mississippi River that are characterised by their staggering length and sheer volume of water flow. However, we do have lots of water (yes it rains a lot here), with steep, narrow rivers that offer excellent technical rafting. The white water rafting in the UK is very specific to the small landmass we have here. Even though the rivers on the British mainland are small compared to rivers found in Europe, Africa and America they do have a unique set of characteristics that make them truly unique and unreplicable anywhere else in the world. 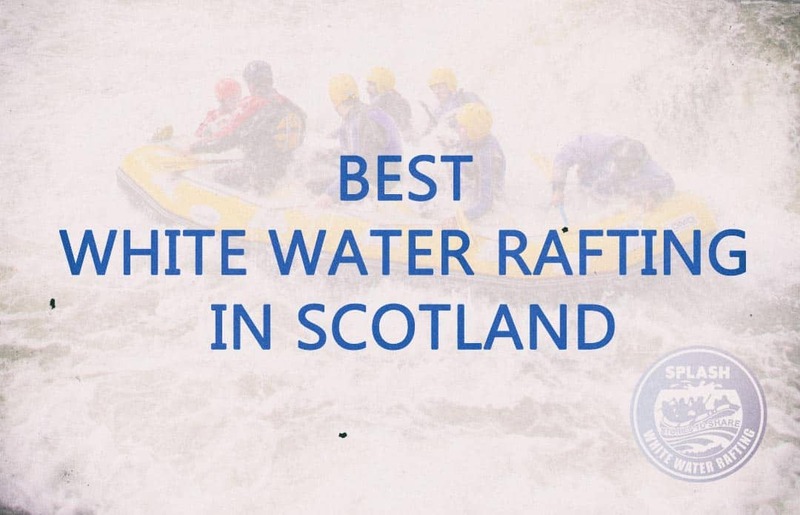 To find the Best White Water Rafting Rivers in Scotland we only have to look at our current activity list. Splash have been rafting rivers throughout Scotland and the World for over 18 years and have settled on commercially rafting just three rivers, these are our favourites, as they are the very Best White Water Rafting Rivers Scotland has to offer. A powerful river found in Argyll. The Orchy doesn’t look like much from the Bridge of Orchy, an iconic bridge built many hundreds of years ago. From the bridge, the river looks tame and for the most part, it is. However, the Orchy comes into its own when it rains in and around the area when the waters come the Orchy is transformed into one of the best white water experiences in Europe, a river to rival any other on earth. It is tight, fast, technical and multiple grade 3, 4 and 5 rapids. Due to its need for rain, the Orchy is less dependable as a regular runner but when she runs the gods attend !! A majestic River in the heart of Perthshire, near the scenic town of Pitlochry famous for its stunning views, like the famed “Queens view” and its 70% off, always closing down golf shops. For most of the year, like the Orchy the River Tummel doesn’t look like much, the river is low and un raftable. However unlike the Orchy the Tummel has a secret up her sleeve in the form of Scottish Hydro! Every weekend from June Till Sept the Hydro Dam releases large volumes of water and the river burst to life. This is a steep, fast and technical river that completes with a 18 foot twin tier class 4 waterfall called the Lynn of Tummel. The mighty River Tay runs all year round, come rain or shine she has the length and the volume to support whitewater rafting all year round. In the winter time her banks swell and in the summertime she provides fun, technical rafting for all the family. With class 2 and 3 rapids through out the River Tay provides consistent fun white water, she is amongst and if not the most rafted river in the UK.